With these environmentally friendly reusable bags, your customers can carry their items guilt-free, knowing deep in their hearts that the manufacturing of these handy bags was harmless to the earth. 19 X 13 + 10"
24 X 14 + 11"
These restaurant bags are extremely environmental-friendly and 100% recyclable. Ameritote Reusable bags are made up of strong material with unique stretchable bottom gussets which helps the bag to remain stable on its own and thus, lack any cardboard inserts. Also, the handle of the reusable bags are soft and easy to grab and carry. The user can easily carry party trays, steam pans, etc. which weigh around 22 pounds. 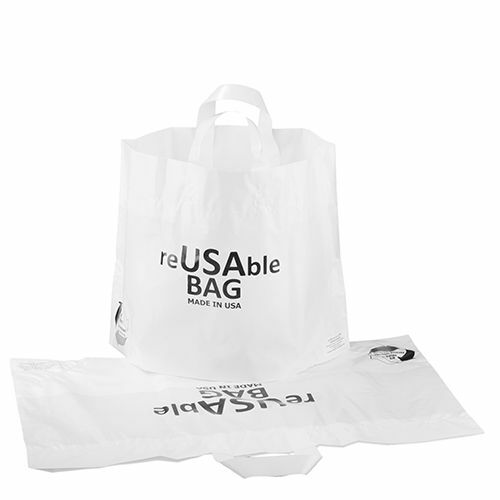 The white restaurant bags consist of simple design with high-quality material which has been tested for 125 reuses. 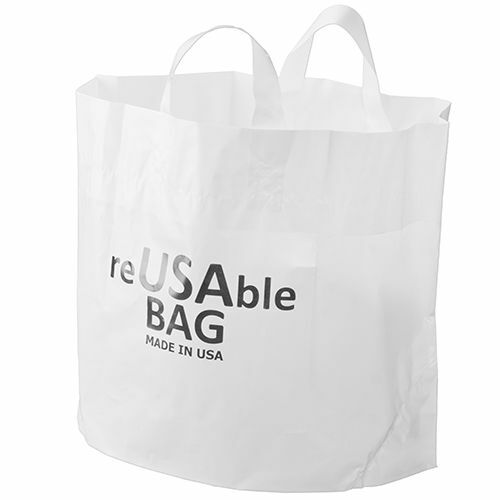 These Ameritote Reusable bags are available in peace-promoting white color.